Are you tired of listening to poor quality voice synthesis? Had enough of those monotone recitations of email? Wondering what to do with all those song lyric sites strewn across the Internet? You're in for a treat. Yamaha has developed Vocaloid, a software application that can be trained to sing like anyone, from Bing to Beyonce. But for now, you'll have to be satisfied with Leon and Lola, two digital soul singers (isn't that an oxymoron?). Zero-G will be releasing these two musical "fonts" in January. 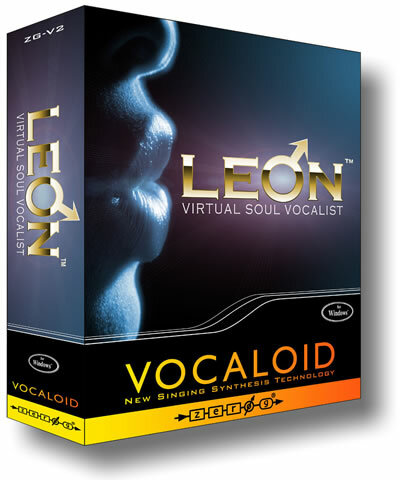 "LEON is a virtual male soul vocalist modelled on a real professional singer, and when he is installed into your PC he will literally allow you to create singing of superb quality and realism. LEON will sing ANY words you ask him to in English - literally anything - be they beautiful lyrics or comical trivialities, Monteverdi madrigals or manic chants." Fans of science fiction of course remember the synth-chips and most especially the talking head computer output device from Neuromancer, William Gibson's awardwinning 1984 novel. See the product announcement at Zero-G.